My compositions include chamber, vocal, symphonic, electro-acoustic music, as well as music for theatre, ballet & movie. Hoera!! 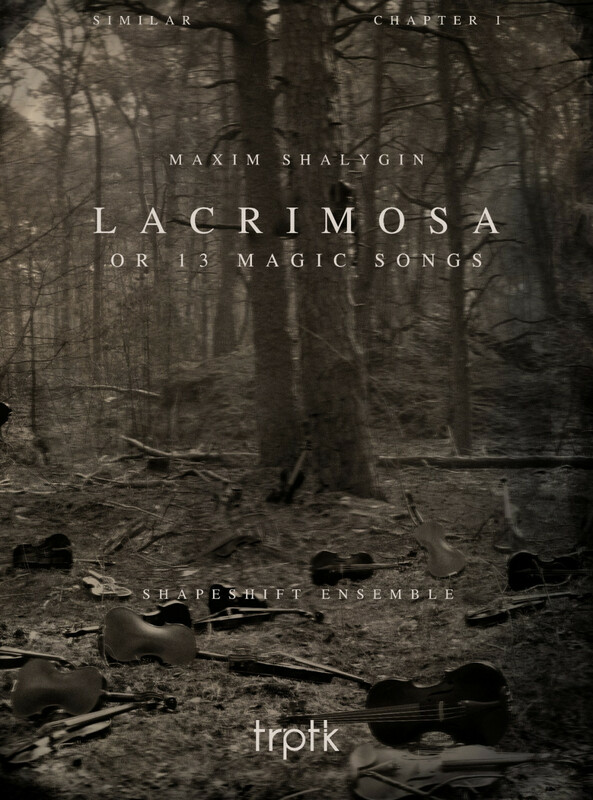 Maxim Shalygin - CD - "Lacrimosa or 13 magic songs" is geslaagd! Dankzij 80 donaties die samen € 7.106 opleverden voor Maxim Shalygin. CD - "Lacrimosa or 13 magic songs"
Please help me to record a CD with a new piece for 7 violins that opens new horizons in violin's expressiveness and technique development. Scroll naar beneden voor tekst in het Nederlands. My name is Maxim Shalygin. I’m a composer from Ukraine. For more than seven years I have been living and working in The Hague. When I was 12 years old I started creating music. After a few years, I decided to dedicate my life to it. My music intersects with different disciplines including ballet, film, theatre, chamber, orchestral, vocal and electroacoustic music. The last piece I wrote is called “Lacrimosa or 13 Magic Songs” for seven violins. It is a work which I dreamed about for seven years, making it very special to me. 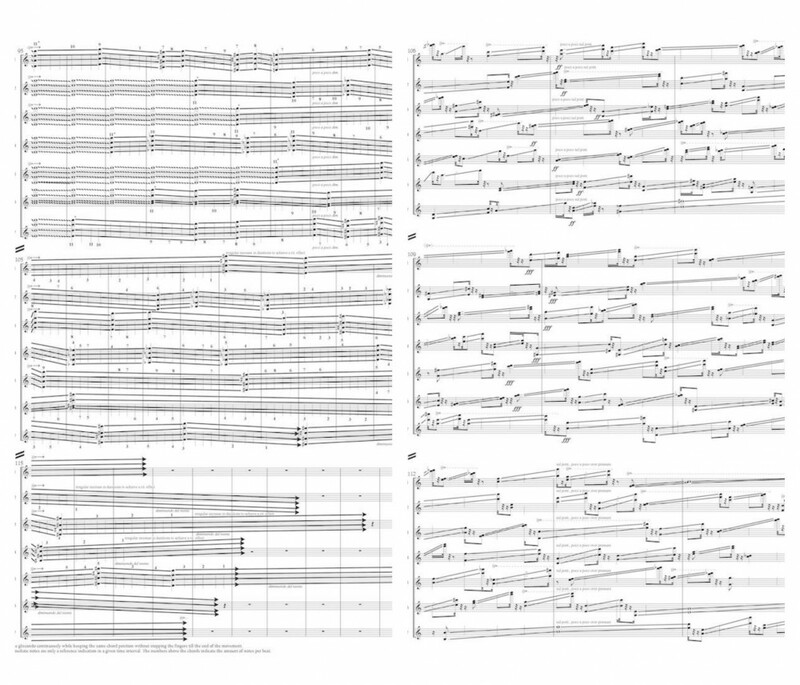 The piece consists of 13 parts with a total duration of about 60 minutes. 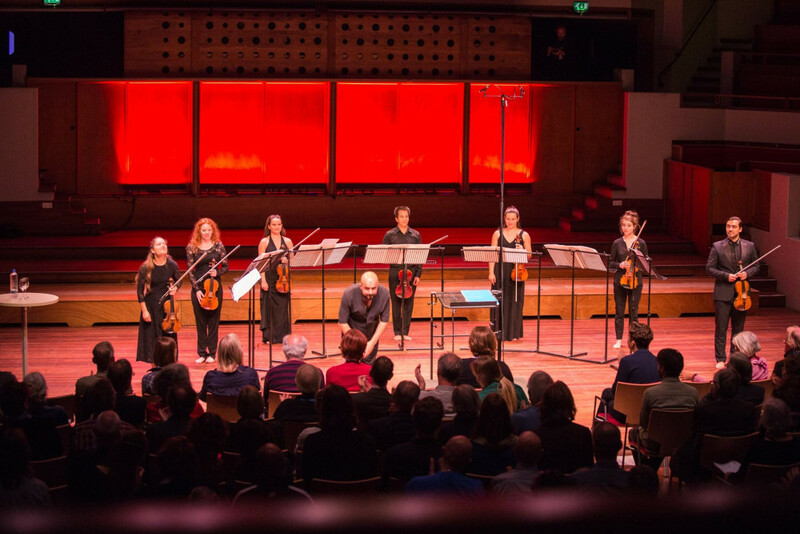 The creation of this music was possible thanks to a co-commission from the Gaudeamus and November Music festivals. In this work, I try to extend the limits of technique and imagination. 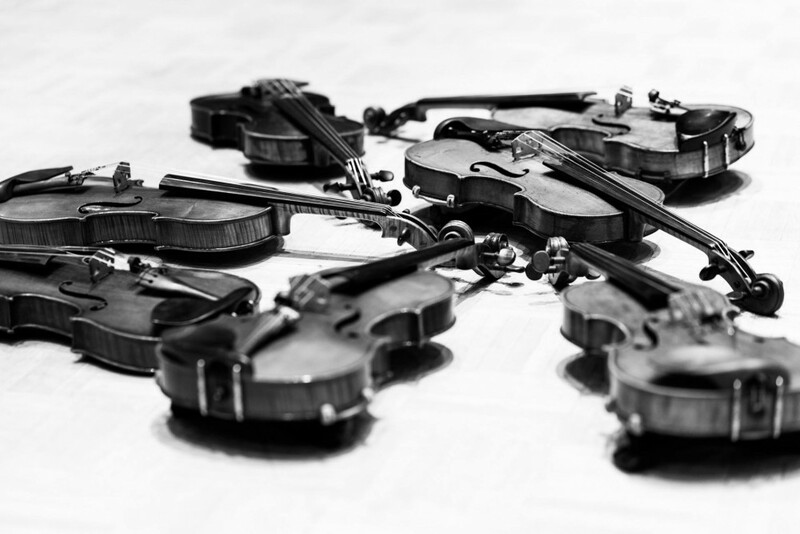 The violins replace the human voice. They sound like a song for forgiveness, a lamentation as well as resembling the chirping of birds. The parts show a different reading of the Lacrimosa's text, perhaps the most human - a humble asking of God’s forgiveness and pardon. "Lacrimosa or 13 magic songs" aims to appeal to man's soul. To provoke the awakening of its emotions, the desire for purification, and forgiveness. To reconcile with the world and itself, something which is often absent nowadays. This piece is going to be the first chapter of macro-cycle named “Similar”, which I plan to compose over my whole my life. That is why it is so important for me to immortalize this music in a CD recording of the highest quality. I believe that this piece opens new horizons in the violin's expressiveness and the development of the technique. 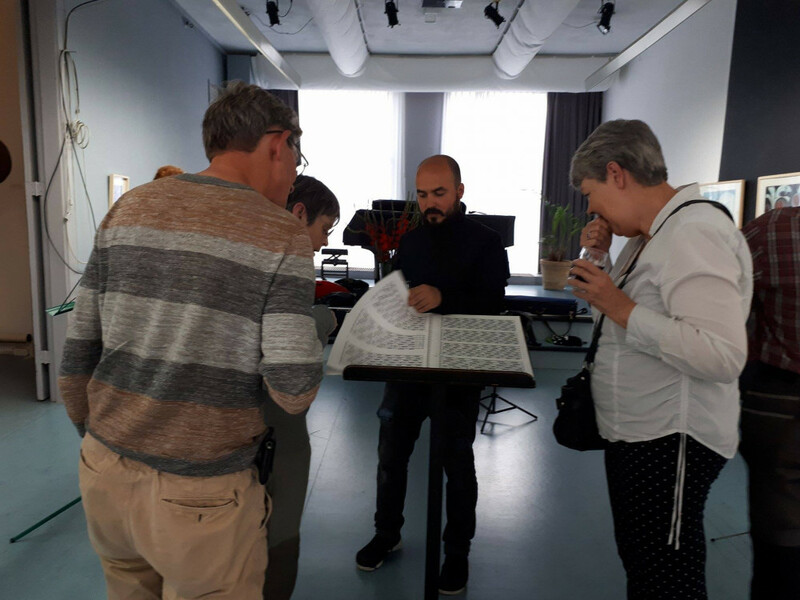 The extremely high difficulty of the score requires the involvement of musicians who can be fully dedicated to this project. 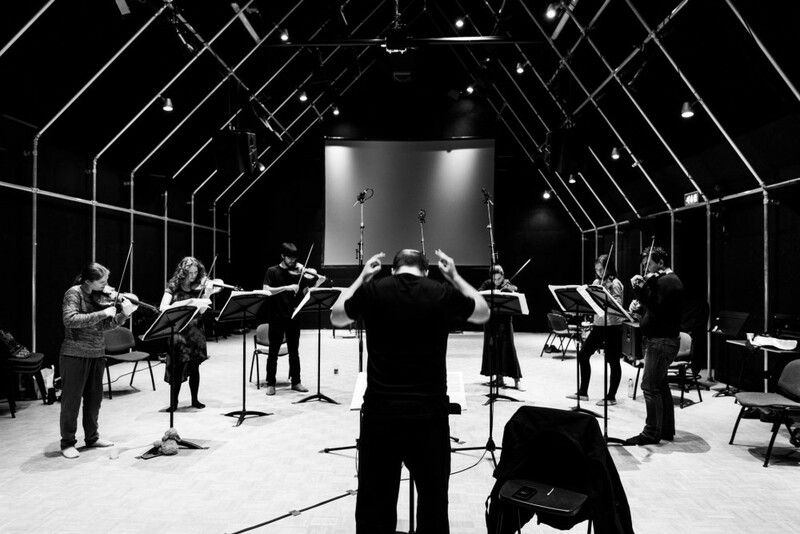 Therefore, this piece will be performed by the Shapeshift ensemble with the new generation of extraordinary violinists. The recording will be made by the TRPTK company, whose goal is to increase the standard of recording quality. TRPTK only works with technology of the highest quality, which perfectly captures the emotion of music in the most transparent way possible. Your financial support will be used to pay for the rent of the recording space (a church), the work of musicians and the work of the TRPTK recording company. Crowd funding is a co-project and I would like to do something in return, especially for you. Please make your choice from the various options and gifts. Mijn naam is Maxim Shalygin. Ik ben een componist uit Oekraïne. Sinds 7 jaar woon en werk ik in Den Haag. Op mijn 12e begon ik met het maken van muziek en na enkele jaren besloot ik mijn om leven er aan te wijden. Mijn muziek omvat verschillende genres. Zoals ballet-, film-, theater-, kamer-, orkest-, vocale en elektroakoestische muziek. Het laatste stuk dat ik geschreven heb heet "Lacrimosa of 13 Magic Songs" voor 7 vioolspelers. Dit is hele bijzondere muziek voor mij waarvan ik al 7 jaar heb gedroomd. Het stuk bestaat uit 13 delen en de de totale duur is ongeveer 60 minuten. De productie van deze muziek werd mede mogelijk gemaakt door Gaudeamus en November muziekfestivals. In dit muziekstuk probeer ik de grenzen van techniek en verbeelding op te zoeken. De violen vervangen de menselijke stemmen. Soms klinken ze als een smeekgezang, dan weer als een jammerklacht vol wroeging, en dan weer als getjilp van vogels. 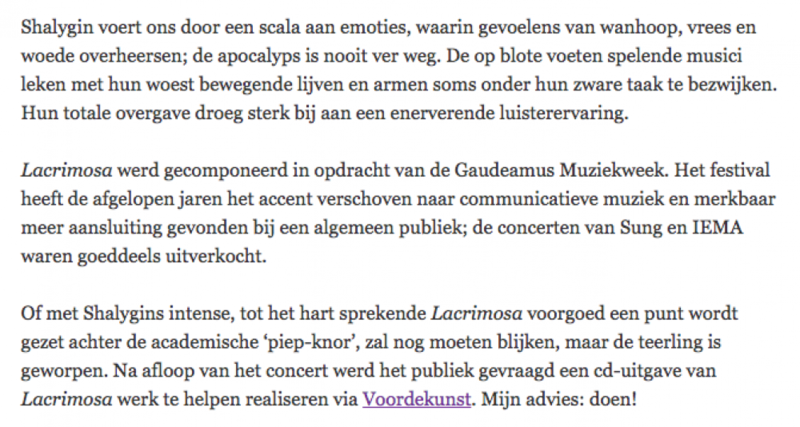 Juist deze afwisseling brengt ons bij de kern van het Lacrimosa — misschien wel de meest menselijke tekst waarin de mens het meest direct bidt tot zijn God om vergeving en genade. De “Lacrimosa or 13 Magic Songs: willen de ziel van de mens aanspreken, zijn emoties opwekken en hem aansporen tot zelfreiniging en vergeving, tot verzoening met de wereld en met zichzelf — tot alles wat ons vandaag de dag in ons leven ontbreekt. De extreem hoge moeilijkheid van de partituur vereist om muzikanten te betrekken die volledig toegewijd zijn aan dit project. Daarom wordt dit stuk uitgevoerd door het Shapeshift ensemble met een nieuwe generatie van uitzonderlijke violisten. De opname wordt gemaakt door het TRPTK-bedrijf, met als doel de normen van de opnamekwaliteit te verhogen. Ze werken alleen met technologie van de hoogste kwaliteit, die de emotie van muziek zo transparant mogelijk opneemt. Dit muziekstuk wordt een eerste hoofdstuk van een macrocycle genaamd "Soortgelijk", dat ik al mijn hele leven componeer. Daarom is het zo belangrijk voor mij om deze muziek in een kwalitatief hoogwaardige CD-opname onsterfelijk te maken. Ik geloof dat dit stuk een nieuwe deuren opent in de expressiviteit en techniek ontwikkeling van violen. Uw financiële steun zal worden gebruikt voor de huur van de opnameruimte (kerk), het werk van de muzikanten en de werkzaamheden van het TRPTK opname bedrijf. 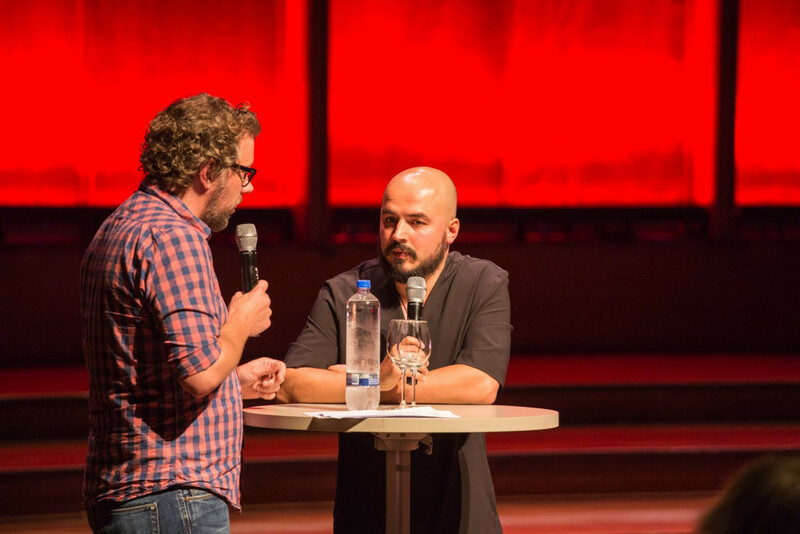 Crowdfunding is een co-project en ik wil graag iets speciaals voor u doen. Maak alstublieft uw keuze uit verschillende opties en geschenken. 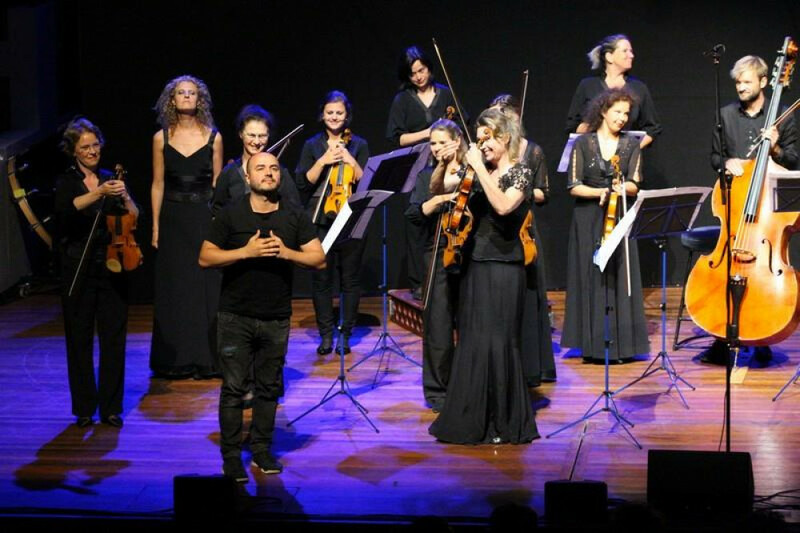 I like contemporary music and I believe my contribution helps to support great talents of this project! Dear friends, sponsors of CD production "Lacrimosa or 13 magic songs". We are pleased to invite you to our concert which is dedicated to our CD release and to all of you, who supported us on this journey, respectively. After a live performance of Lacrimosa you'll receive a CD! Please let us know if you can come and share this special moment with us. For those who are waiting for a hard copy of the CD, but won't be able to come, please send us your address for shipment. Dear friends, sponsors of CD production "Lacrimosa or 13 magic songs". We had two amazing, super productive days with outstanding musicians and wonderful people. No exaggeration.... The long awaited recording of "Lacrimosa or 13 magic songs" is done! The next step is to mastering this record. We are GRATEFUL for all support we've got through the crowdfunding. Thank you for Believing in us & music! Recording dates in March 2018! yes, it is the last day of the January, but it is not too late to wish you a Happy New Year! We wish you a good health, a lot of new inspirations and inexhaustible feeling of love. We were for a long time silent, but not inactive. We made the final decision concerning the dates and recording space of our CD. The "Lacrimosa or 13 magic songs" will be recorded on 27th & 28th March in Utrecht. 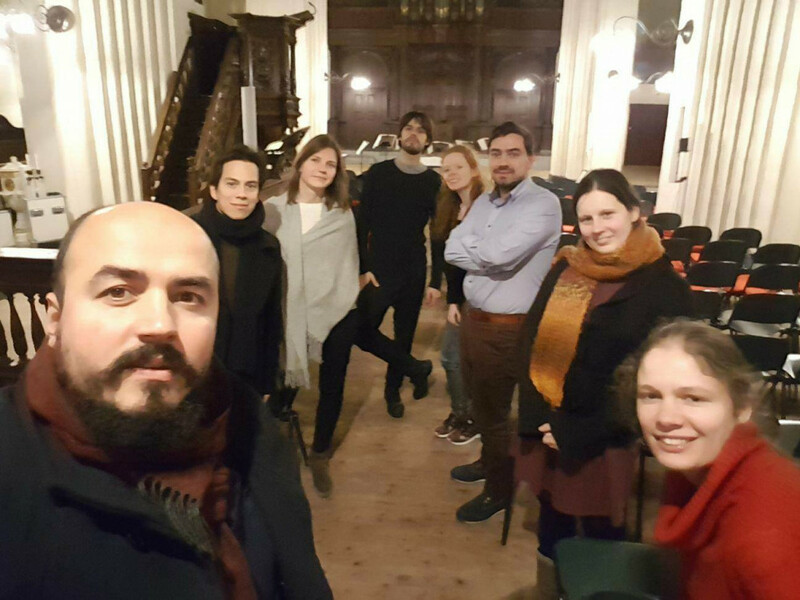 Moreover, we are working on a possibility to organise a CD presentation concert in June 2018. It will be such a big pleasure to see you at this concert and once more show our gratefulness for support. 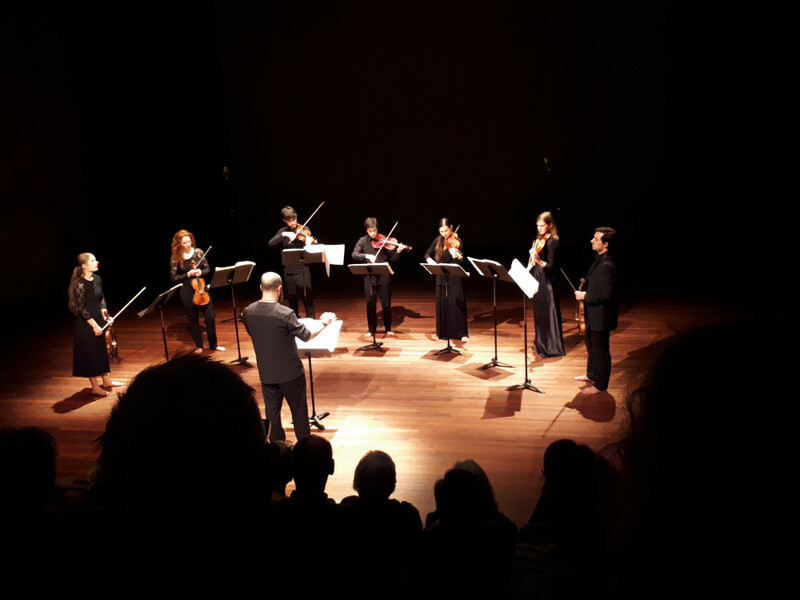 So far we had 3 more great performances and our next concert is on 13 February at De Link (Tilburg). Dear friends, sponsors of CD production "Lacrimosa or 13 magic songs", sorry for our silence. 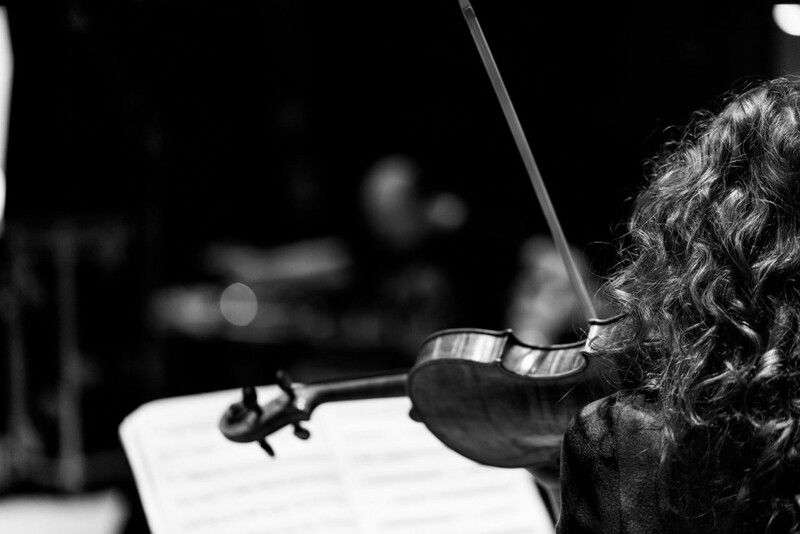 11 November - November Music Festiva (Den Bosch). We were also busy with a video editing. Now you can watch/listen to part "Air" & short Trailer. We are still in negotiation concerning the date of CD recording. The expected period is the beginning of January, but we don't have a confirmation yet. We will keep you informed! Thank you for support and interest to contemporary music. Dear people, friends and those we don't know, musicians from Shapeshift and me are so grateful for your support and high evaluation of our work. 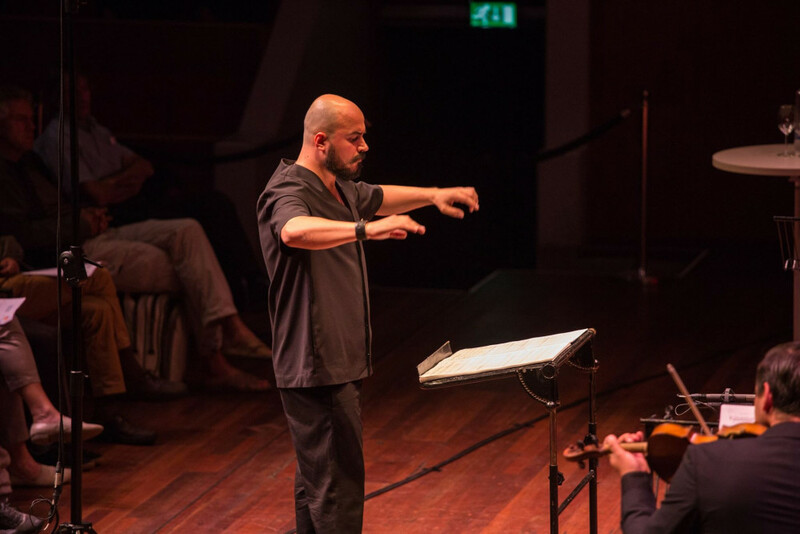 The premiere during Gaudeamus muziekweek was a big success. So far, we've got only good reviews from the Netherlands music critic - NRC & Thea Derks. We've got a chance to extend our crowdfunding campaign for a bit longer. Therefore, we continue to try our best in order to reach the goal and make this music more reachable for bigger audience through CD and iTunes. The premier was a great success! 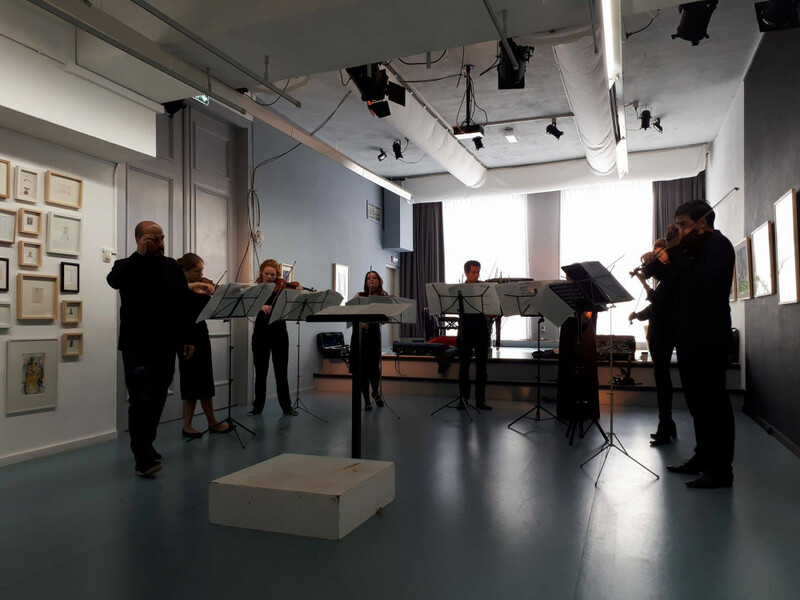 5th rehearsal and a try-out performance at the Haagse Kunstkring. We are so much looking forward to the premier already TOMORROW on 7th September at the big hall of the TivoliVredenburg. The music won't leave you indifferent! All musicians from Shapeshift are incredible. 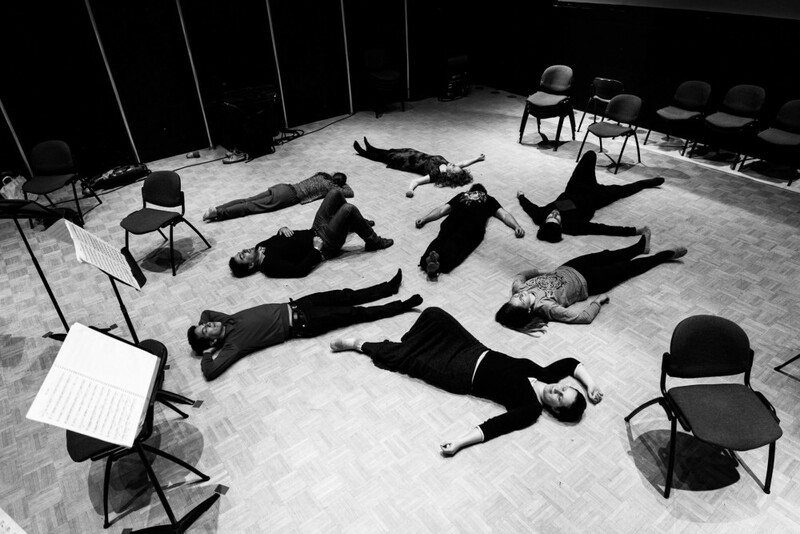 Thank you Emmy Storms, Fiona Robertson, Imogen Eve, Andrii Chugai, Anna Britala, Maria Kouznetsova & Eduardo Paredes Crespo! Thanks to Donemus​ for a high-quality work! 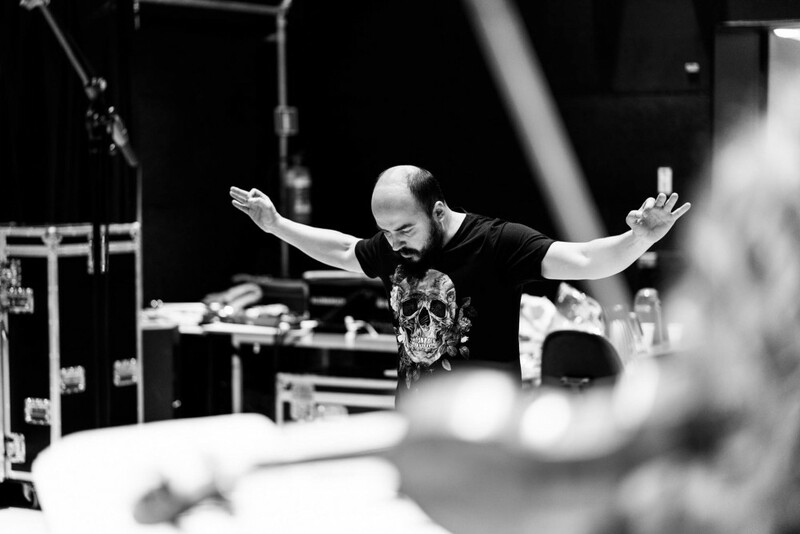 Maxim is one of most talented and outstanding composers of our time. Let's dream come true! Good luck, Maxim! Support Maxim! He creates unique and amazing music. Cause we love Maxim's music and believe in his talent very much. Dit is muziek zoals muziek bedoeld is. En zulke muziek muziek verdient alle mogelijke steun! Vitalii, introduced me to your music, Shalygin. More people need to evolve uniquely like you. Looking forward to the children of art. Love. I had a privilege to attend the premiere and it's an absolutely fascinating work that needs to be recorded! Good luck my friend! Een paar jaar geleden hoorde ik en compositie van Shalygin die mij diep ontroerde. This is an amazing, unique and important for the cultural heritage work. It has to be definitely recorded so more people can experience it. Thanks! You'll receive an album download in CD quality and CD itself. Thanks! You'll receive a single track download. Thank you! You'll receive an album download in CD quality. Thank you!! You'll receive CD itself and HIGH-resolution downloads of the album. Thank you!! 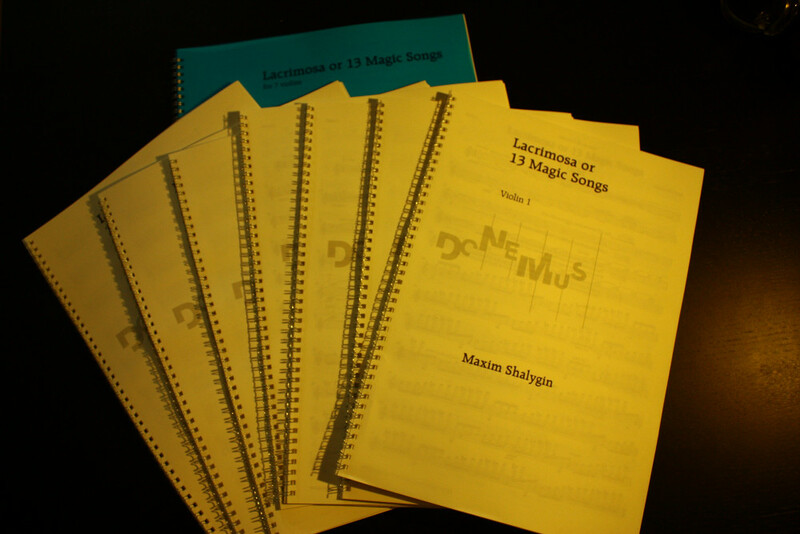 You'll receive a score (110 pages in pdf) + CD, HIGH-resolution downloads. Thank you!! You'll receive an invitation for 1 hour at CD-recording + score pdf, CD, HIGH-resolution downloads. Thank you very much! You'll receive an invitation to a special preview night/ Borrel-Party + score pdf, CD, HIGH-resolution downloads. Great!! Thank you very much! YOUR NAME will be at the CD sponsor booklet + score pdf, CD, HIGH-resolution downloads. Great!! That is wonderful! You'll receive 1 hour composition/ music analysis lesson/conversation about creativity with me + YOUR NAME, score pdf, CD, HIGH-resolution downloads. Very grateful! I invite you for dinner! + YOUR NAME at the CD sponsor booklet, score pdf, CD, HIGH-resolution downloads. This is amazing! I invite you for dinner, YOUR NAME will be at the CD sponsor booklet, 2 free tickets to one of the concerts + hard copy score, CD, HIGH-resolution downloads. Great! I'll compose a short piece especially for you (optionally on your music theme) + hard copy score, CD, HIGH-resolution downloads, YOUR NAME will be at the CD sponsor booklet.